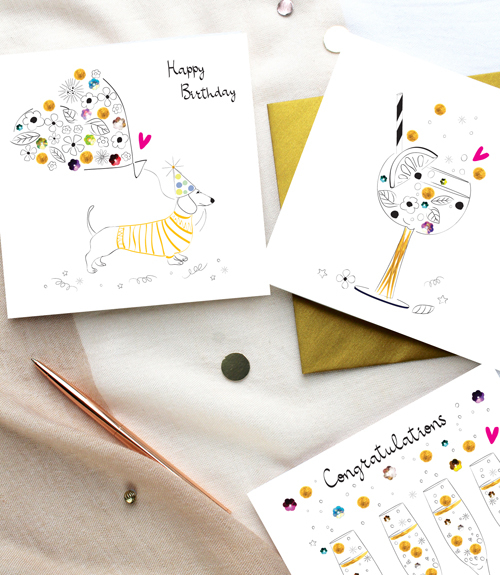 We are delighted to announce the addition of 10 NEW designs to our best-selling Bijoux range. The range has now been updated with glitter for extra sparkle and we have lost the bows for more contemporary look. For those who plan their Christmas selection early, we have added family captions to our glittery Christmas 2018 range, all available to order now. To check all lovely newness please get in touch and we are happy to send a paper catalogue and a sample card if you feel you would like to see them in the flesh.